Vaccinium macrocarpon (Vicciniummacrocarpon) the plant is not high (up to 30 cm), perennial, producing minor slightly creeping stems on which glossy, green leafs are situated. 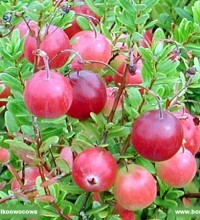 In June, the plant produces pink flowers from which spherical red autumn fruit are formed. 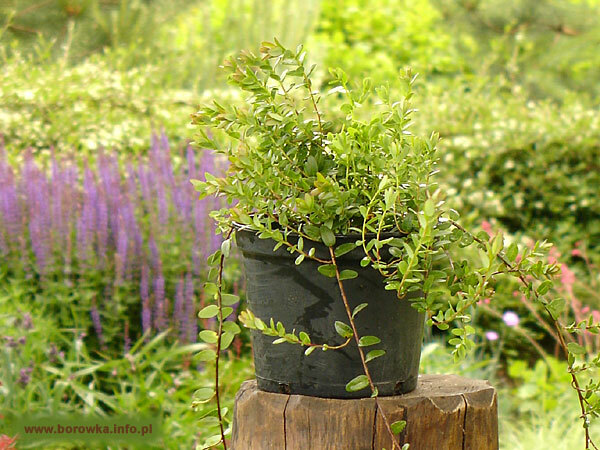 The plant is much less popular in Poland than blueberries. This is due to the requirements of even greater soil. Soil pH should be no more than 3.5. The soil must have regulated water relations, because during the growing season does not tolerate excess of water. 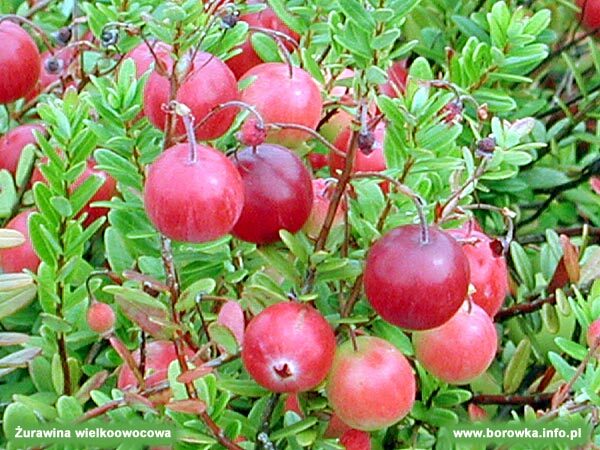 It is best to till vaccinium macrocarpon on peat high soils, which are very rich in humus, drained and at the same time with the possibility of watering, and very acidic. Vaccinium macrocarpon is more susceptible to spring frosts during flowering, than to frost during winter dormancy, so you should be prepared for the protection of plants in the spring. For commercial plantations, seedlings are planted at a spacing of 25cm / 50cm or 50cm / 50 inches, depending on the number of owned plants. What denser planting the plants quickly cover the surface of the field, hinder the growth of weeds, and the previously obtained abundant harvest. 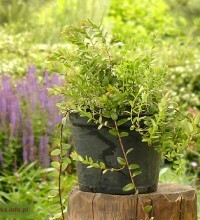 On our farm we breed vaccinium macrocarpon by means of traditional method using half ? wooden seedlings that are rooted in July and in May of the following year, they are transplanted to pots 1.5 l. In September seedlings are ready for sale and for planting. 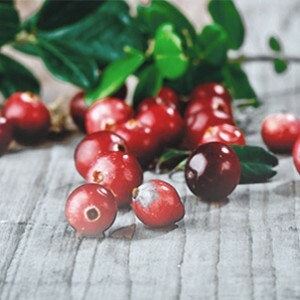 We offer two varieties of cranberry Pilgrim and McFarlain. Pilgrim – variety fertile late shoots are short and quite numerous. The fruit is large, red, elongated very good quality. McFarlain – late variety very fertile shoots are long and thick. The fruit is large, oval like stems covered with waxy coating intense of very good quality.